Very Young Composers, a program of Youth Power 365 in partnership with the New York Philharmonic and The Playground Ensemble, allows students of all backgrounds to create their own musical piece from start to finish during a week-long workshop. 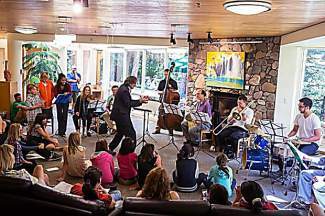 Come to Vail Public Library on Friday at 1 p.m. to hear music written by Vail Valley youth and performed by members of the New York Philharmonic. A reception will follow. All are invited.